Hey, who’s that poking his head up out from behind a shrubby berm along the road. 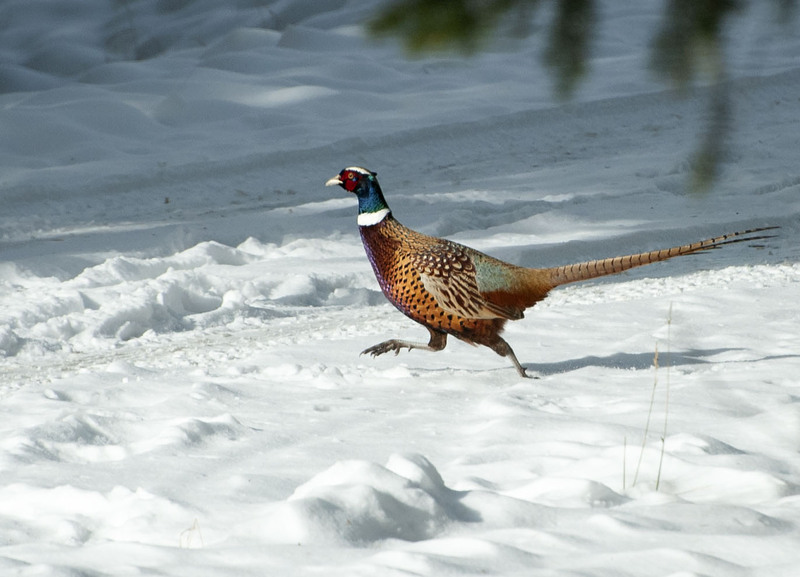 None other than our old friend the Pheasant. Just look at that all that color packed into a single bird. We only got a quick look as he took off like a road runner across a snow covered road and into the brush on the other side but a look that will be remembered. We have quite a few pheasant in IA. They are hard to find. HI Jim, they are indeed hard to spot. It is much easier this time year after the fields have been cut down. Most hang out next to wooded areas and make brief appearances out into the open. He’s a fine specimen! 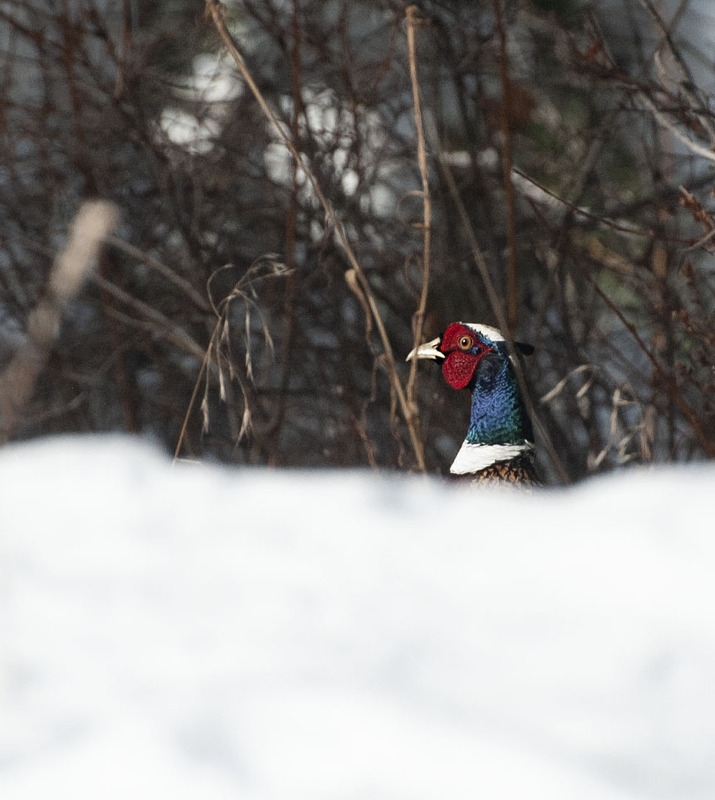 They stock farm-raised pheasant at a reserve not far from here, but few survive the winter between hunters, coyotes and deep snow. Poor birds don’t stand a chance. HI Eliza, I think they know they lead a tenuous life as they dart between the cover of shrubs and don’t like to be seen very often. Funny thing given who colorful they are? Getting a glimpse of one of these in the wild is magical. Lucky you! And sharp-eyed and quick with the camera, as well. Hi and yes these guys do have a knack for keeping out of sight and perhaps for good reason. Now that the fields have all been cut their cover is blown and we do get a glimpse every know and again. It is a treat to our eyes when we see these creatures. There are hardly a few of them left in my country. Their life endangered to a great extent!